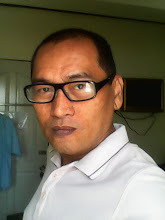 Home / concert / Doris Bigornia / Music / Mutya Ng Bayan / Richard Lim / social media / The Script / Video / Doris Bigornia: The "Mutya Ng Bayan" Is Now A "Muta Ng Bayan"
Doris Bigornia: The "Mutya Ng Bayan" Is Now A "Muta Ng Bayan"
It is indeed very hard to act or behave properly off-camera since there are no scripts involved and you rely on just plain spontaneity. This is happened with ABS-CBN media stalwart Doris Bigornia dubbed as “Mutya ng Bayan” for combining her own brand of “down to earth” media reporting and personal charm. She and her children went to see The Script concert last April 17, 2015 at the Mall of Asia Arena. And little did she knew and that of Richard Lim, that she would act without a script and ended up behaving rudely in a rock concert. According to Mr. Lim, Ms. Bigornia and her family's entourage block their view from where they were seated as her team went out of their seats and moved forward towards the stage to get closer to the band as The Script finally made their entrance at the front stage. According to Mr. Lim, Ms Doris and her children were ward off by the bouncers but to no avail. They did not follow the bouncer’s plea to remove themselves in front of the stage and go back to their seats. Instead it encouraged other concert goers to follow her script. To cut the story short, there was ruckus involving the Bigornia and the Lims and exchanged verbal tussles any would be scriptwriter would not dare to write as the words were too cliché to be uttered in a rock concert. 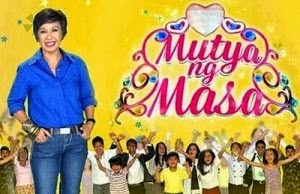 In the eyes of Richard Lim and of course haters of Ms. Doris Bigornia and of ABS-CBN too, this brouhaha tarnished the image of this Kapamilya reporter and transformed her as “Muta ng Bayan” and no longer “Mutya ng Bayan.” Ms. Bigornia on the other hand, apologized for bad script she spontaneously followed and narrated her own version of the story which is of course different from the script of Mr. Lim. Both camps would not bow down and accept defeat so far. So who’s at fault? Neither; and I consider both as victims. Surprised? Of course, I bet all of you readers are astounded with this judgment. When I reviewed this story, I remembered a similar incident decades ago when Bon Jovi performed here in Manila and in the middle of the concert chairs were flying and hurting people that included Richard Gomez and Lucy Torres. The riot started when fans and even those who were seated at the far away bleachers started to rush in front of the stage, creating terror and fright to concert goers who were seated in the middle. It was a big issue at the time and I remembered that one of the comments that lingered in my mind was “who ever thought of having a seated arrangement for a rock concert must be dumb and an idiot at the same time.” Yes, indeed, the same thoughts can be expressed in this Doris Bigornia scandal if others wish to call it this way. The concert situation just provided both the Lims and Bigornias to be natural Filipinos; behaving as if they own the stage. Bigornia acted thinking that she has the media mileage and privilege and Lim reacting as if everyone should know him and be frightened with what he can do. The children of course were the usual “aliping namamahay” and aliping sanguigilid” protecting their “datus” who happened to be their parents. So, to be avoid situation like this in a concert venue, please do away with the seating arrangement as this is not a seniors ball or a graduation ceremony.